Every girl should own a pair of heeled sandals; it's a fact. 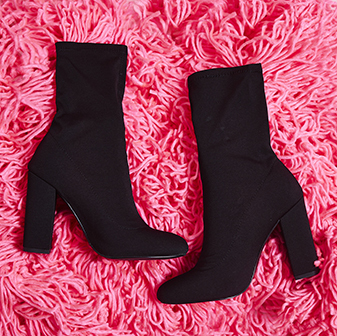 They can sass up any outfit in an instant - making them essential for a night out. We've got something for every style. Whether you're lookin' for perspex heels, wedges or stilettos - our collection of heeled sandals has got something for every gal. Heading out-out? 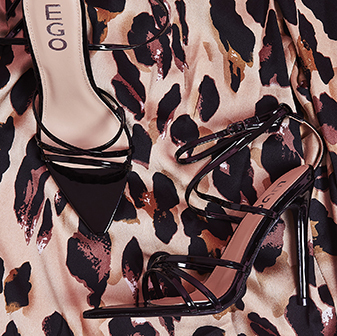 Team your heeled sandals with an LBD. Dress them down for daytime with raw hem jeans and a plain white tee. However you work them and wherever you're heading, you're gonna look hot AF. Our heeled sandals come in a huge range of cute colours, fierce materials and sizes to suit any girl. So whether you're a wedges or block heel kinda girl; we got you covered.